During last weekend’s Austrian Formula 1 Grand Prix, Race Fans asked Red Bull F1 team principal Christian Horner about the Aston Martin Valkyrie. The question was whether the coming hypercar, a collaboration between Red Bull and title sponsor Aston Martin, could beat the stunning lap record around the Nürburgring just set by the Porsche 919 Hybrid Evo. 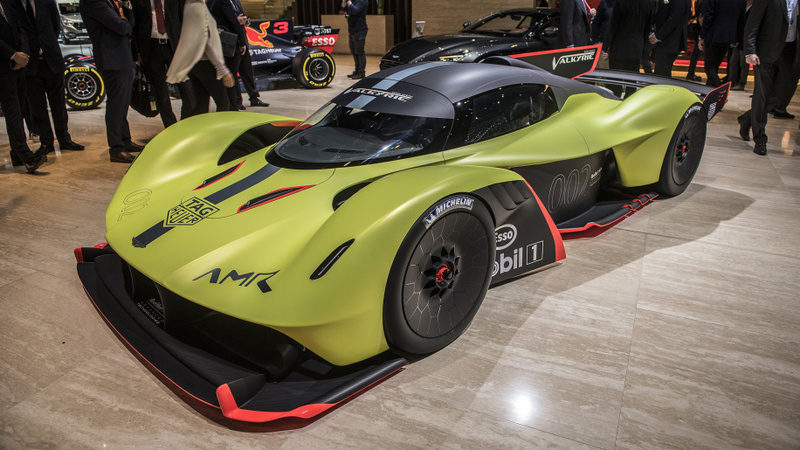 Horner’s answer: “I’m not sure a Formula 1 car could actually do it, but I think that the Valkyrie — certainly the track version of the Valkyrie — could be a contender.” That’s a qualified endorsement, but it still counts as support merely putting the Valkyrie AMR Pro in the conversation. Let’s compare, shall we? The 919 Hybrid Evo is based on the 2017 World Endurance Championship-winning 919 Hybrid. Freed from motorsport regulations, Porsche Motorsport upgraded numerous performance bits. The 2.0-liter, turbocharged V-four-cylinder went from 500 hp to 720 hp. The two KERS units went from 400 hp to 440 hp. We don’t have a figure for downforce, but items like active aero, a larger front diffuser, optimized turning vanes, and larger rear wing increased downforce by 53 percent over the WEC car, at the same time being 66 percent more aero efficient. It weighs 849 kg dry, or 1,868 pounds because Porsche threw out everything that didn’t contribute to speed. Note, though, that the Valkyrie AMR Pro will be more powerful, lighter, and could have even more downforce. And since Aston Martin and Newey continue to work on the hypercar, specs could get even better before deliveries begin. Right now, Horner’s suggestion doesn’t seem all that outrageous. We’ll also wait to see if the Mercedes-AMG Project One pokes its nose in the ring, too. Not long ago, AMG chief Tobias Moers said it’s “reasonable to speculate” the F1-inspired hypercar could claim an absolute lap record around the ‘Ring. But that was before Porsche went ahead and did it. Even if Aston Martin and Mercedes-AMG don’t put up an official challenge, we’ll probably get an idea of what’s possible when the FIA’s new “Hypercar” class begins racing in 2021.